15-watt amp boasts vintage and modern tweed tones. Mojotone has announced the new Blackout Tweed Select, a 15-watt, 5E3-inspired amplifier that builds on the classic circuit and provides several usable updates. 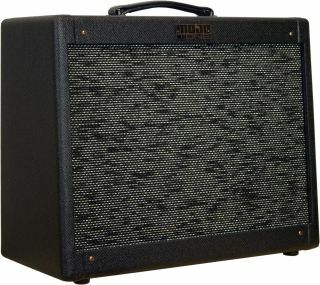 According to the company, the amp delivers “Tweed Deluxe” style tone on the normal channel with more control over the tone (which now includes treble and bass control), and super responsive high-gain Tweed tones on the new Mojotone “Modern” channel. The Blackout Tweed is handwired and sports Mojo Dijon capacitors, a Heyboer power transformer, carbon composite resistors and Alpha potentiometers. The solid-pine 1 x 12 cabinet is covered in a “Blackout Tweed” finish and loaded with a Mojotone British Series BV30 speaker. The Blackout Tweed Select is available for $995. For more information, head over to Mojotone.com.